Bangalore is a city where real estate market is more mature and more dependent on end user than investors or speculators and due to this the momentum in growth of real estate in this city is at its peak. 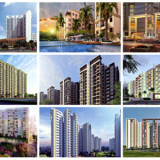 The real estate developers are investing their all interest and great efforts to come up with such projects in the city which not only is planned to accommodate the increasing population but also keep an eye on details like the comfort, luxury and serene environment which every home buyer thinks of before buying one for him to have them all there. 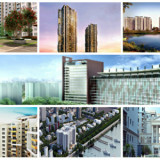 Renowned apartment developers in Bangalore like Prestige, Hiranandani, Puravankara, Salarpuria, Brigade, Sobha and many more are developing apartments in the various parts of the city which are all exclusive, nestled in prime locations of the city and have exceptional features and interesting amenities too. This is what makes every project of these developers, a popular choice. 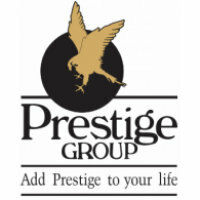 The Prestige Group owes its root to Mr. Razack Sattar, who predicted a success story waiting to take shape in the Retail Business in 1956 itself. Since its creation in 1986, Prestige Estates Projects has grown rapidly to become one of South India’s well-known Property Developers. Prestige stands as a giant and with aggressive growth plans across the Hospitality, Commercial, Residential and Retail Sectors in Bangalore. 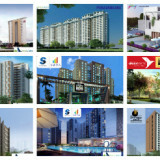 Prestige Groups has 169 Completed Projects, totalling over 51.37 million sqft, 65 On-going projects comprising around 56.94 million sqft and 28 Upcoming Projects totalling 31.15 million sqft. Mr.Surendra Hiranandani is Managing Director and Founder of House of Hiranandani which has the unparalleled distinction of remodeling barren land into some of India’s most vibrant life spaces. At House of Hiranandani developments, the amenities of an urban centre are balanced with the luxury of convenience, the grandeur of space and the comfort of privacy. Your home rests in the forthcoming areas of the city, but attention to landscape and nature will make you feel as if you are in an oasis. House of Hiranandani means more than quality building, it is a gateway to quality life. 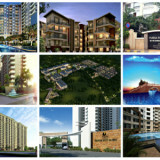 Puravankara Projects Ltd has believed that there is only and one mantra for the success that is Quality. Since its inception in 1975, This tenet combined with robust engineering, uncompromising values and transparency in business operations and has placed it on the most favoured real estate brands in both residential and commercial segments. 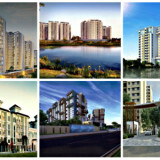 Salarpuria Sattva Group is one of the India’s leading Property Development, Management and Consulting organizations Founded in 1986, which is Built on trust, innovation and knowledge leadership, with the primary focus on developing high-quality constructions, the Group has obtained the leadership positioning in the field and is one of the most preferred brands in the country today. 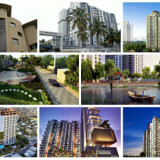 It has a varied portfolio of world-class commercial, residential, IT Parks, retail and hospitality properties. Mr. P.N.C. Menon In the Middle-East founded Sobha Limited in 1995 with a clear vision to transform the way people recognize quality with three decades of experience in creating resplendent interiors of palaces and masterpieces. 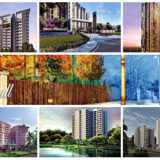 Today, Sobha Rs.25 billion company is one of the largest and only backward integrated real estate players in the country. Sobha is an organisation that is eminently focused on delivering international quality products in a timely manner with utmost perfection. 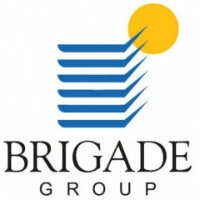 In the year 1986, Brigade Group was established with property development as its main focus Today, Brigade Group is one of the South India’s leading property developers. We have a uniquely disparate multi-domain portfolio that covers hospitality, property management services, property development and education. Our representative office is in Dubai, headquartered in Bangalore, and an accredited agent in the USA, with branch offices in several cities in South India. Snehdeep founded Bhartiya City in 1987, Bhartiya comes from a background of design which started in 1987 designing apparel. Bhartiya Group has been the largest manufacturer and exporter of leather fashion for over past ten years, with over sixty clients including global majors like Hugo Boss, Armani, Zara and Mango. 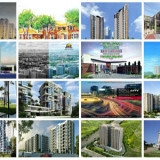 Bhartiya City has brought together urban planners and architects of international repute. 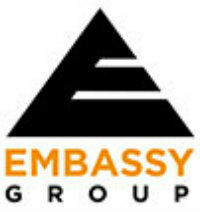 Embassy Group initiated in the year 1993. Embassy has an extensive land bank across the country and has developed adjacent to 37 million square feet of residential, retail space and prime commercial as of March 2015. 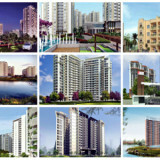 Together with our promoters we have over three decades of experience in real estate development. Embassy’s vision for the future is to advantage its tenant relationships and expand the portfolio of Information Technology space throughout India and international. Kolte Patil Developers has Founded 2 decades ago which has been creating landmarks for 25 years and guided by a simple yet profound philosophy. 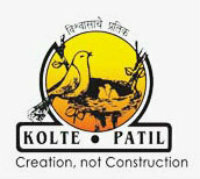 Kolte-Patil Developers Ltd. is one of the foremost real estate companies which is headquartered in Pune. Kolte-Patil is Pune’s largest developer that has completed 1 crore sq ft. of landmark developments in Pune and Bangalore which is Listed on NSE and BSE. The lengthy standing mission of the company is to dedicate itself to create spaces that blend in with the surroundings and making the spaces present-perfect and future-proof. 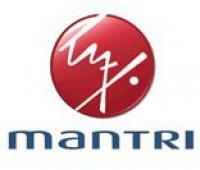 Mantri Developers Pvt. Limited Established in the year 1999 by Mr. Sushil Mantri. It is supremely dynamic and competitive sphere of property development, one name that has always been a trailblazer, setting the trends for others to follow. 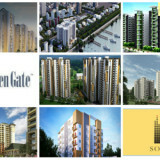 The innovation-led, future-focused, the company has been the pioneering force behind the swiftly changing skyline of south India, with developments that span the retail, residential, education, commercial and hospitality sectors.